What starts as a simple dinner to taste a few vintages of Veuve Clicquot’s Grande Dame somehow morphs into a large retrospective back to 1928. As is always the case with tastings such as this one, some wines don't live up to expectations for various reasons, most of them likely related to provenance. But those that do, well, they are spectacular. Our tasting group convenes at Marea, where Chef/Proprietor Michael White has prepared a dazzling menu to go with the wines. The crudo tasting is fabulous, as it often is here. 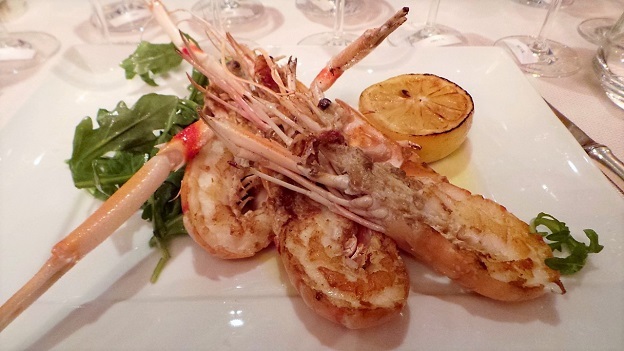 Marea’s seared langoustine, prepared as simply as possible, smells and tastes like it has just come out of the ocean. White has proven time and again he has the magic touch when it comes to creating divine pasta dishes. 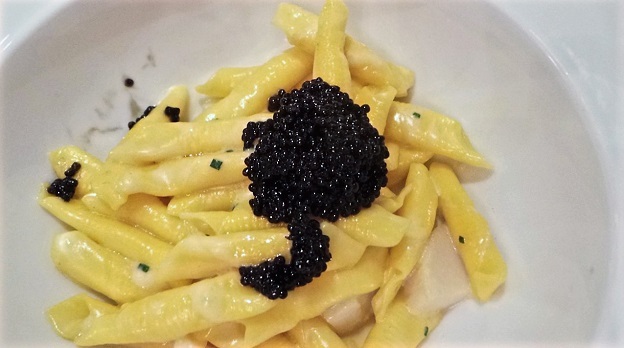 The garganelli with diver scallops, sturgeon caviar and crème fraiche is absolutely delicious. I am less thrilled with the glazed Alaskan halibut main course, as the fish is a bit too heavy for my taste. As always, Wine Director Francesco Grosso takes care of the wines with his usual effortless grace. Grosso is the rare sommelier you never notice because he takes care of every detail before you can even think to ask. Anticipation. It’s one of the things that separates the true pros from the rest of the pack. 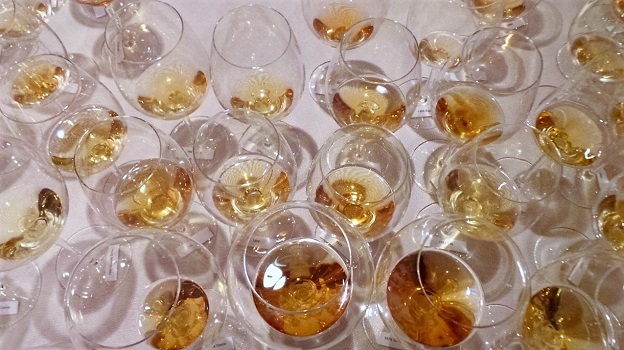 A number of wines show beautifully. As much as I enjoy older Champagnes, I always want to see at least some life and vitality. The ability for wines to age while retaining freshness is one of the things that elevates the best Champagnes into the stratosphere. 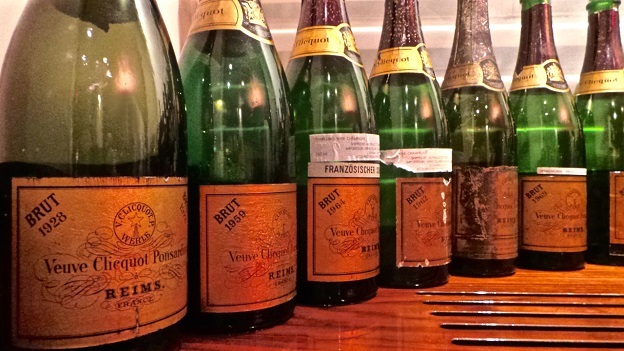 Among the early vintages, the 1953 and 1962 Brut are both remarkable for their intensity and the grace with which they have aged. The 1961, tasted from magnum, isn’t too far behind. From a purely historical perspective the 1928 Brut is fascinating to follow. It is clearly past peak, but utterly beguiling just the same. 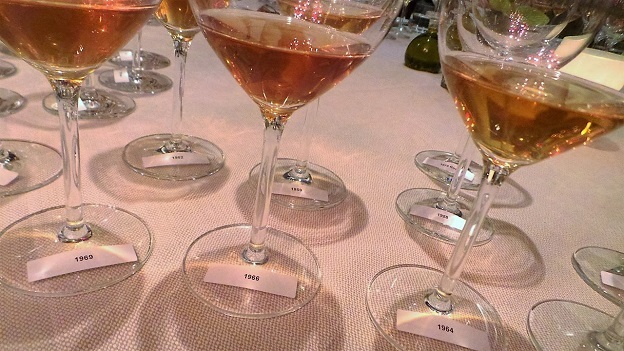 The 1969 Rosé is truly off the charts. What a wine! Some of the other vintages from the 1960s are a bit too evolved for my taste and past the point where I find true pleasure. The Grande Dames from the 1970s are stellar. Where to start? At times the 1976, with its sheer power, seems the most compelling of these wines. But the 1975 is a touch fresher and more finessed. The 1979 stands out for its compelling aromatics. Another powerful wine, the1973 is also quite intense in style, like the 1976, but not quite as complete or finessed. Over the course of several hours the wines continue evolve, as great wines do, providing remarkable insight into the key vintages of one of the all-time great decades for Champagne. Two Champagnes from Veuve Clicquot’s late-release Cave Privée program round out the night. The 1990 Cave Privée Rosé is striking for its perfume, silkiness and exceptional balance. Few things can top a fine, aged Rosé, and 1990 is all finesse. A few reds follow with the last courses, but I prefer to concentrate on the Champagnes, as there are a number of glasses on the table that deserve time and attention. Once again, I am reminded of how exquisite Champagne can be with bottle age. What a pleasure it is to follow these gorgeous Champagnes over the course of several hours with a small group of friends.